According to a few reports that have just surfaced, Samsung are readying themselves to launch a twin brother of its upcoming flagship device the Galaxy S4 but this time the sibling is said to be a tee bit rugged and a bit more tough as compared to the original S4 (that hasn’t even been officially launched in most of the countries as yet). 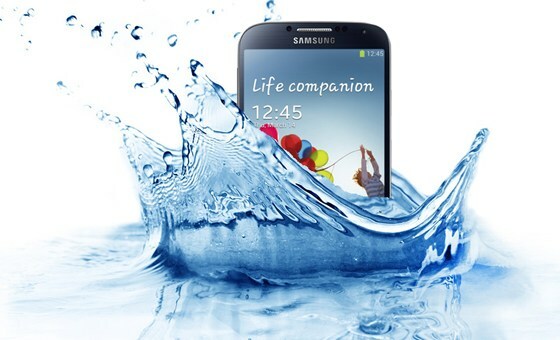 Apparently the new device in the making is currently known as the Samsung Galaxy S4 – Active which promises to be water and dust proof and would most probably look a lot similar to the original S4. One major complaint that user’s usually have with Samsung devices is their built and material used. Most of Samsung’s high end smartphones are mostly made out of a plastic material which does make the phone feel a little less expensive (no pun intended) to some customers who do tend to prefer a more sturdy and sophisticated feel to their otherwise classy devices. From what we are anticipating, this news might just be the right one for user’s who were anxiously waiting to hear specially after getting exposed to other options that are currently available in the market such as the Sony Xperia Z or the Panasonic Eluga which both tend to be water and dust resistant. What needs to be seen now is that whether someone would opt to buy the original S4 or wait a little bit longer for its rugged brother to make its debut sometime later this year ? Which one would you be going for ?